The softest Levi's we've ever felt. And we've been doing vintage for over 10 years. Orange Tab. Small thin faded line near bottom on both sides from being cuffed over the years. 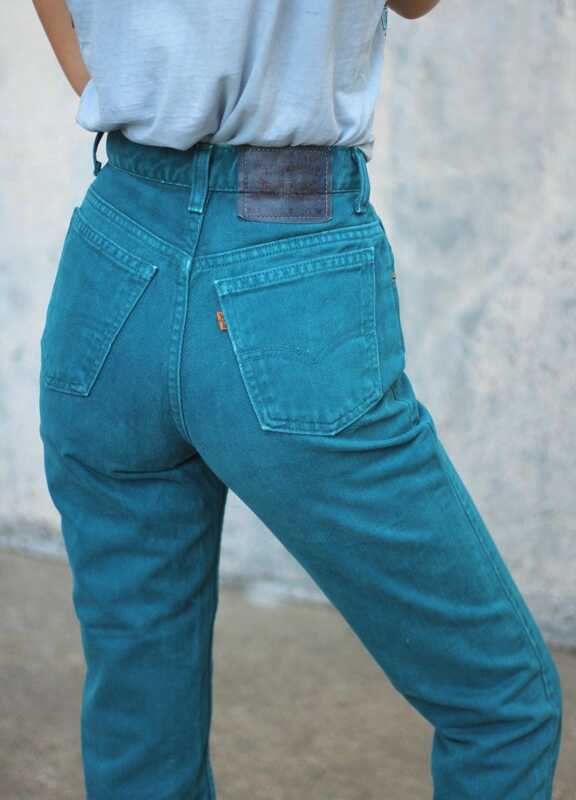 A super quality pair of jeans in a unique color. Cool dark faded back tag. Very unique and rare. An all around dream!